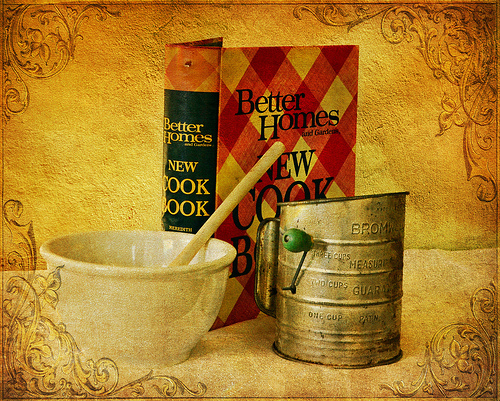 One morning in my kitchen, I discovered how effective stories are in selling products. The eater/buyer? My four-year-old grandson Jonah. Let me explain with a story. Sunday morning Sammy and Jonah declined whole-wheat banana pancakes in favor of much simpler and healthier fare…..yogurt. So, now that I wasn’t making a fuss over pancakes, I decided to make the experience more special than just putting a bowl full of yogurt in front of them. Instead, I created a ‘yogurt bar’ for breakfast. Next to each bowl of yogurt I gave them a decorated plate filled with a selection of toppings: walnuts, bananas, granola, kiwi and raisins. I gently asked why, and he just shrugged his shoulder and shook his head. I obligingly took them away. Sammy, just shy of six, asked where raisins come from. Well, all anyone has to do (even someone as young as Sammy) is ask for a story and I’m there. I proceeded to explain how grapes grow, the different colors of grapes, and how they can be pressed into grape juice, fermented into wine or dried to turn into grapes. I talked about the importance of sunshine (thanks Sun-Maid! 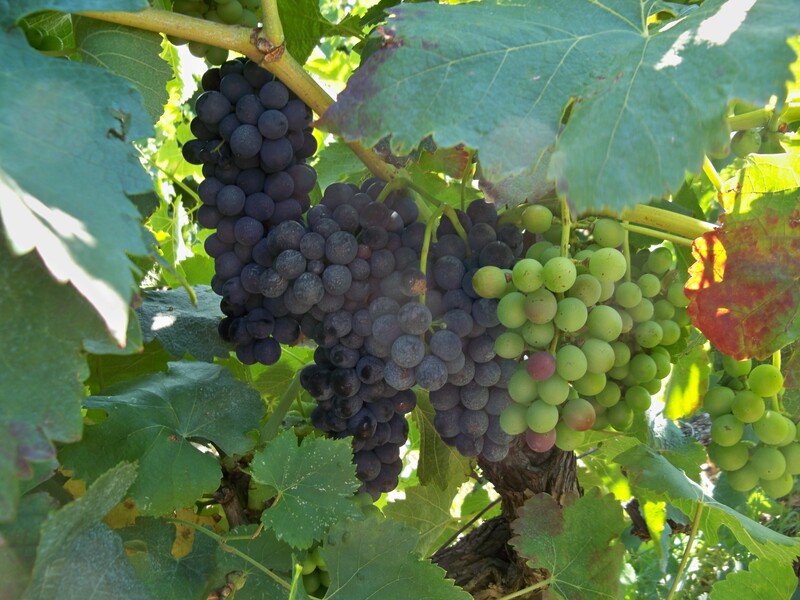 ), and that as the grapes dry into their wrinkly state, the natural sugar in them makes the fruit taste even sweeter. I said that if they wanted to, they would be able to make raisins themselves*, just by taking a bunch of grapes and leaving it in a sunny place. 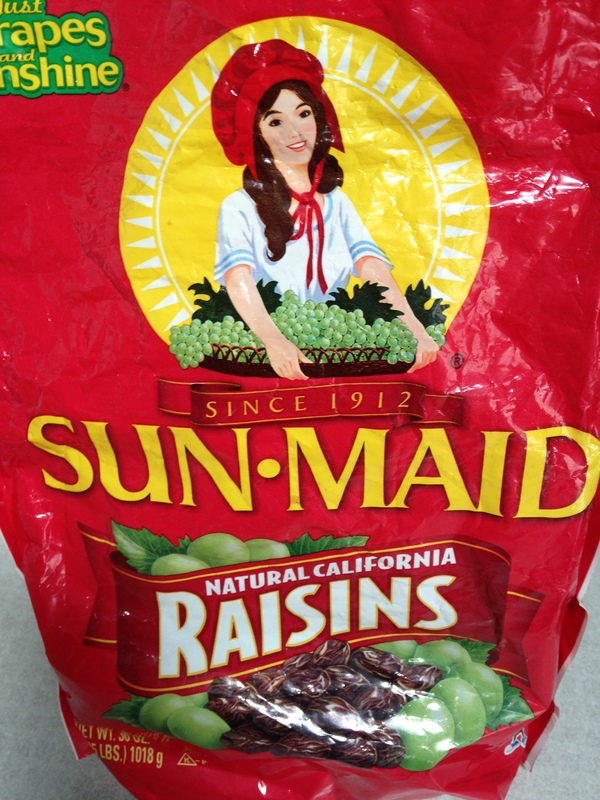 Who can resist the grapes to raisins story on this package? 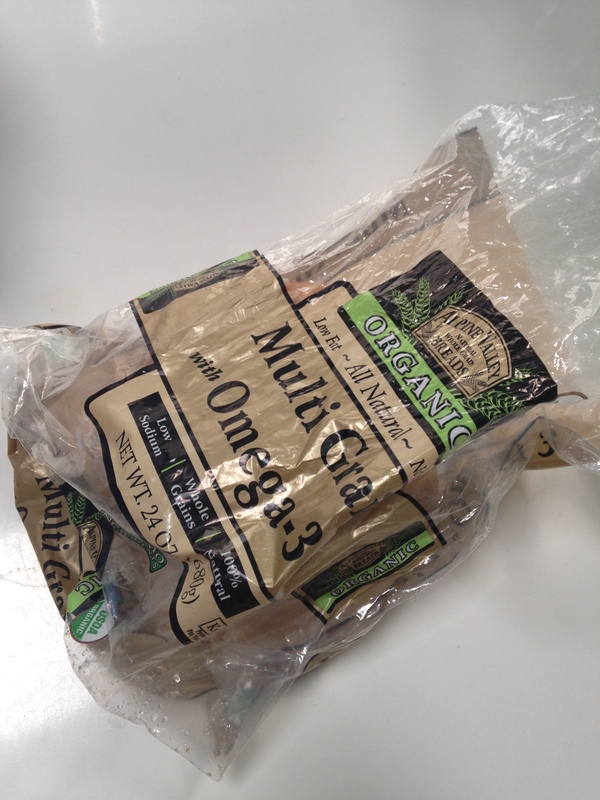 The more I talked about the raisins, the more I think Jonah regretted his decision. He quickly chewed them all, foregoing adding them into the bowl. So, did my story sell Jonah on the idea of taking back his raisins and eating them with such delight? I’m not sure, but it makes a memorable story. (You can see how easy it is to dry grapes that turn into raisins here , let me know how they turn out!). You might be tempted, after reading this, to think that I am a kitchen gadget geek (especially after reading my previous post). I don’t think so, but my acquisition of assorted coffee machines and paraphernalia might be used by the prosecution to make the case that when it comes to coffee, I am a little obsessed. You may arrive at a similar conclusion after reading the undeniable evidence below. In my possession, there is way more than enough stuff to make any type of old-fashioned coffee any one person would need. I say old-fashioned because I have not succumbed, nor will I, to the urge to pepper one’s home with pods. I refuse to participate in the craze (though by most accounts those pods are here to stay) due to the indulgent expense of it all, the ecological implications, and my most basic desire to not give in to what I see as yet another individualistic trend in our culture. this press is smaller than my salt shaker! But unmistakable are these four clues that I am way beyond a casual relationship with coffee when it comes to accessorizing my habit. 1. In my pantry is a vintage gold filter from one of my first drip coffee machines, plus any other kind of filter you could imagine: bleached white basket types, all-natural style cone-shaped ones, plastic ones for travel, even petite types that you use with a stick that balances on the edges of a mug, and two white ceramic ones (a small and a large) that you can place directly on top of varying sizes of coffee cups. 2. I have several types of electric coffee-making equipment: two vintage mini-Melittas that make from 2 – 4 cups, a vintage regular-sized Melitta drip machine, a “newer-old” Braun drip machine, a dated but perfectly good Salton espresso machine, two Italian Bialetti stainless steel stove top models and a huge DeLonghi coffee urn that can hold over 50 cups of coffee. 3. Moving on to the non-electric versions of producing the caffeine one needs in the morning, I own three regular sized French presses (one Bodum, one Mr. Coffee, one Starbucks). 4. Just so I wouldn’t have to be without, I also own assorted merchandise just for travel: a one-serving mini press (well, if they actually make this, it must be for a good reason), and a coffee press/mug that you can make on the run that I found in an Asian store (but have yet to try). So, that’s my confessional, which by the way, I thought of writing while in line at Starbucks this morning, glancing over at the beautifully new and shiny stainless steel French press waiting to be purchased by perhaps another coffee-obsessed person. As for me, today I decided that I own enough coffee stuff. I think it’s time to dust off the bread machine. It’s been sitting in a corner of the kitchen in a sorry state of neglect for at least a year or maybe two. Just like many kitchen machines that are borne of a fad, this one sits in abandonment after that first rush of owning and using it wore off. So, I will pull this clunky thing out from under, extricating it from its early retirement. The only thing is, breaking out the bread machine now, as we head into the warmer weather, doesn’t seem to make much sense. A cold wintry day would actually inspire bread baking a bit more than the fresh spring weather. So instead of being in sync with the calendar, I decide to be conscientious about the environment. It just doesn’t seem right to drive an incredible distance to the nearest Costco for a loaf of bread. Not just any bread, but the wholesome, Alpine Valley brand organic bread that I usually buy. Turning that handle was so satisfying! The picture itself conjures up all kinds of images and sensations, including the warmth and smell of home-baked goods that we all long for. But I guess that cozy feeling might diminish when you decide to use a cold and robotic looking machine to knead and bake the bread. So, off I went to the nearest Bed, Bath, and Beyond store to search out the flour sifter I thought I needed. They conveniently display all their gadgets on two giant, mile-high walls, so you have to actually step back to look at everything, as if you were in a museum eyeing a Modern Master in order to see all the merchandise. I did that three times. Surprisingly, in that time, no clerk came by to inquire if I needed help— but then again, if I was watching someone stare at kitchen gadgets for so long I wouldn’t have been inspired to walk over either. 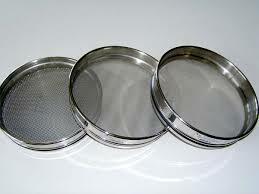 But, there was no sifter in sight. At the next opportunity, I stopped at my go-to place for all kinds of spoons, measuring cups, bowls, and other things you didn’t know you need….the Dollar Store. I searched the one very long wall that displayed every kind of knick-knack on pegs and bins below, going back and forth just to make sure I wasn’t missing anything. No sifter. Okay, so you might be saying that the Dollar Store might have been a stretch for looking for such a serious cooking item like a sifter. But how about a supermarket? That would seem like a good bet, right? After all, it’s the place where you actually buy the food, so wouldn’t they sell stuff that you can use to prepare the food? (By the way, this search took place over several weeks, and I was getting perilously close to coming to the end of the only loaf I had of that organic bread). My usual travels take me to a few different supermarkets (I wish it didn’t) because one place doesn’t have everything I need. I covered a lot of ground, without coming up with one place that stocked a sifter. This was getting ridiculous. 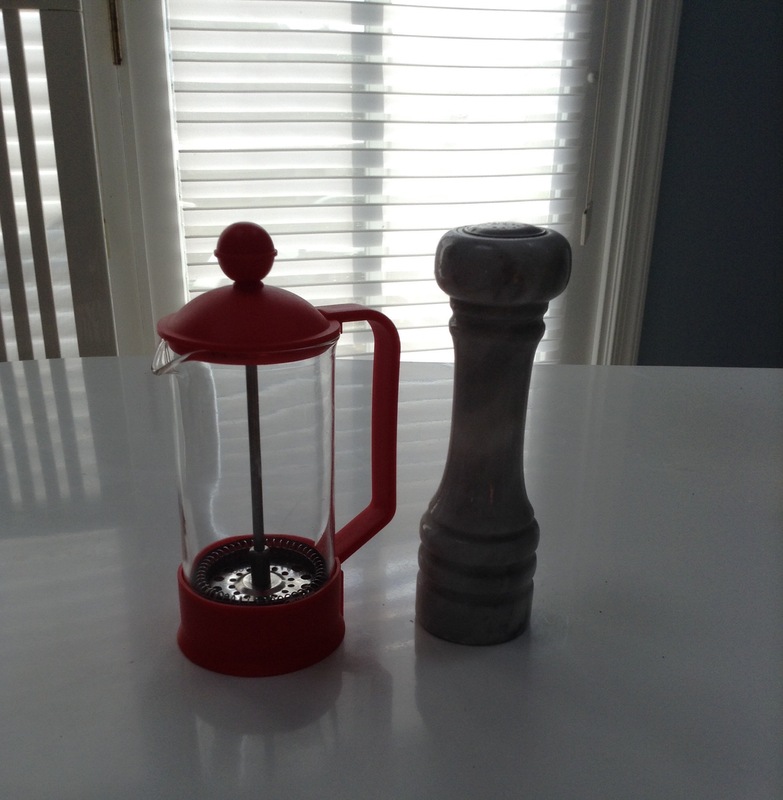 Not one supermarket, in their aisles of kitchen tools, had a flour sifter, which is why I headed over to Target. Surely Target would stock such a thing. There, I did the ‘gadget gaze’ again, and walked the up and down the aisle and back and forth several times in disbelief as there was no flour sifter in sight. Resigning myself to the idea that I WAS GOING TO BUY A FLOUR SIFTER and not have to hunt this thing down any further, I searched for a store clerk of a certain age (listen to the reason first without judgment please) who would be familiar with this type of thing to tell me if she had ever seen one in the store. (Feeling guilty about this and to make sure that I wasn’t making any gender/age judgments, I asked a young, male clerk if he knew what a flour sifter was. Shaking his head, he asked if I wanted him to contact someone in gardening). which is not exactly what I had in mind. With this gadget, you put the ingredients inside, and just shake it up a bit to get rid of lumps as the sifted portion falls through the bottom. She agreed that this wasn’t the type I was searching for and suggested that I try specialty craft stores that sell baking equipment. Wow, who knew that this was such a unique item? Specialty stores? 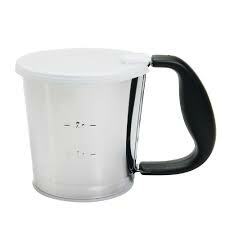 For a common flour sifter? Is no one baking anymore? Has the convenience of ready-made foods taken over entire food categories? 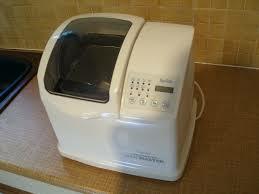 Is anyone actually using their bread machines? I did not want to venture into craft stores, because from my memory, those stores focused on chocolate making and not bread or cake-making, plus I really didn’t want to spend even more time checking those out. 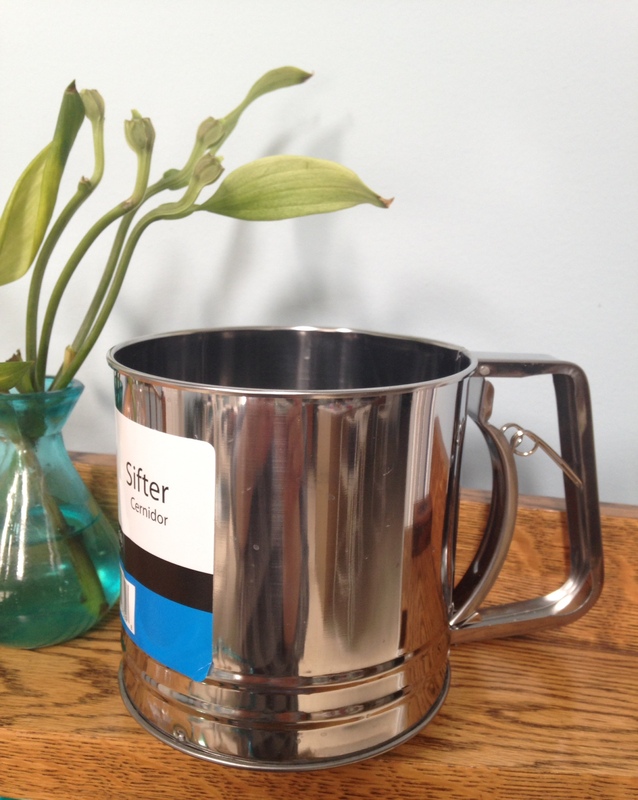 Now tell me, is this not the shiniest, most beckoning kind of flour sifter you’ve seen? It has plenty of room (5 cup capacity! ), is easier to operate than the crank type, and cost less than $7. So, what did the Target saleswoman’s advice and the result of my search tell me? That if you plan on baking, you’re either on two ends of the economic spectrum. I’m sure that if I sauntered into Williams-Sonoma, or ordered from an online specialty catalog, I would most likely have found what I was looking for, but at a hefty price. So, the shiny new sifter sits perched on a shelf, waiting for me to dust it up with flour for my next round of baking. Post script: Sad, but true. One of the first recipes I decided to try in the bread machine was for focaccia bread. In reading the bread machine instructions closely, it says, right in the first few pages “it is not recommended to use a flour sifter for any of the following recipes….”. So, I guess I will need to bake cookies.